Yesterday morning, Governor John Hickenlooper signed our bill to prohibit greyhound racing in the Centennial State. This means that Colorado has become the thirty-ninth state in which the cruelty of dog racing is illegal. Drafted by GREY2K USA president and general counsel Christine Dorchak, the measure was enthusiastically supported by Colorado Voters for Animals, Colorado Citizens for Canine Welfare, the ASPCA and the The Humane Society of the United States. We all worked together to make dog racing history! None of this would have been possible without the leadership of our chief bill sponsor Representative KC Becker of Boulder. A freshman lawmaker, she learned about the cruelty of dog racing in Colorado and then joined with us to make sure that greyhounds would never suffer again in her state. Since the state's legalization of greyhound racing in 1948, five greyhound tracks had opened and closed. Interest in the activity suffered such catastrophic declines that only one track survived by 2007. Mile High Greyhound Park reported a loss of $700,000 and ended live racing in 2008. Greyhounds in Colorado endured lives of terrible confinement and were kept in warehouse-style kennels, in stacked cages that were barely large enough for them to stand up or turn around. Cages measured just 29" high by 29" wide and 40" long. 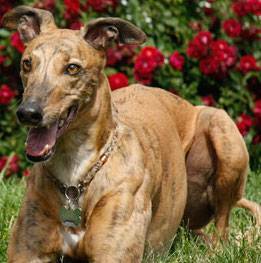 Between 1993 and 2007, 2,636 greyhound injuries were reported at the state's dog tracks. The most common injury was a broken leg and other injuries included fractured spines, paralysis and puncture wounds. Despite this history, Mel Johnson, president of the Colorado Breeder's Association publicly expressed interest in building a new track where "we can send our greyhound signal to other states and countries to bring in business." Thanks to Representative Becker, he will never get that chance! Now is the time to celebrate. But before you do, please take our poll and let us know which racing state you would like to see prohibit dog racing next. There are seven states with vote hereoperational dog tracks and four more where dog racing has been suspended but is still legal. Which state should we focus on now? Cast your vote here! Thank you all for caring about the greyhounds!